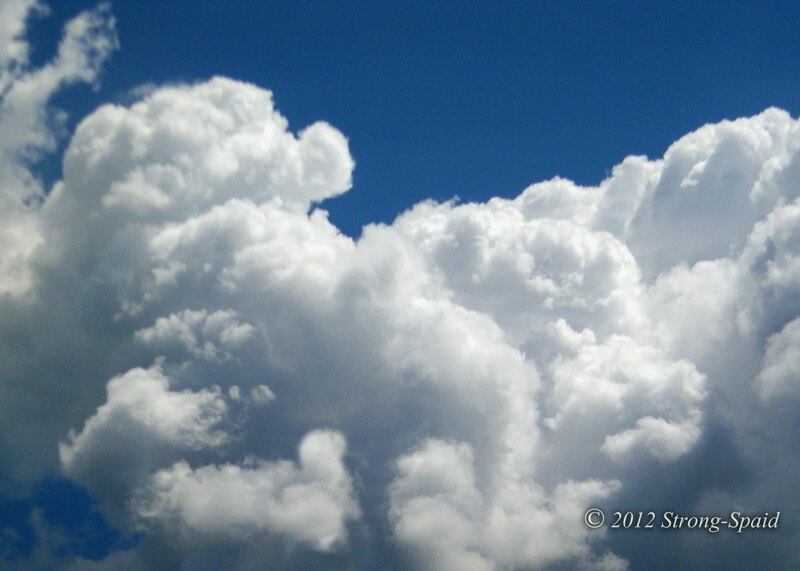 I was living on a soft cloud before I was born, enjoying the celestial music of the spheres. My existence was heavenly until a strange man wearing a wide-brimmed hat and a dark cloak, floated in on a hot breeze. He bowed, tipped his hat, and introduced himself as Damien—Travel Agent of the Stars. Looking back, it was more likely that he was a travel agent from hell, but I was too foolish and naive to realize. I was immediately impressed by his eloquent words and fascinating stories. At the end of his smooth sales pitch, Damien handed me a beautiful brochure. It was filled with images of wonderful places that I would be able to see if I signed his Life Travel Contract, agreeing to be born into human form. He showed me a detailed photo of the waiting room that I would be allowed to live inside until my birth. 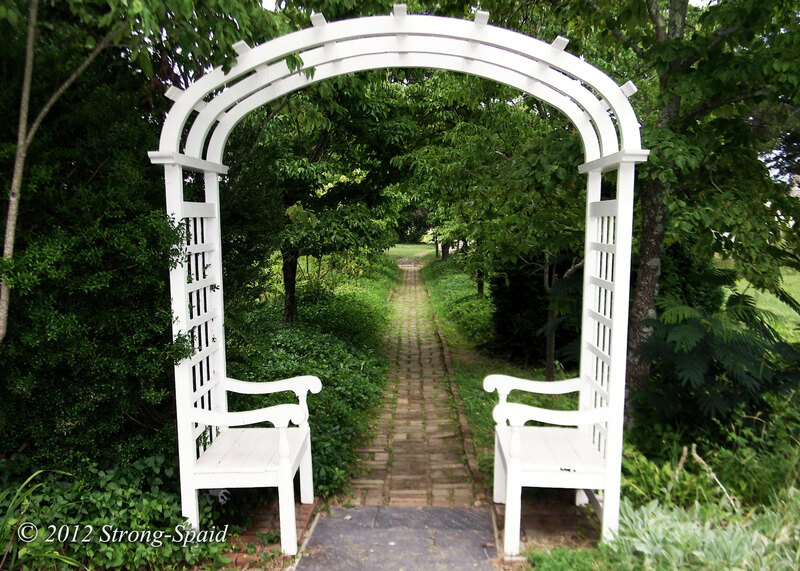 The room had a lovely bench covered by an archway, leading to a glorious path unknown. In spite of Damien’s enthusiasm and the lovely photos, I must admit that I was a little worried. This was going to be a big change for me, and change is not always a good thing. So I asked him if I could take some time and read through his Life Travel Contract before I signed (it was over 1,000 pages long). God forgive me—I was such a gullible soul! I picked up his wicked pen, signed the contract, and immediately fell into the total darkness of the waiting room. It was nothing like the picture that Damien had showed me. There was no light, so I could not read through the contract as I had planned. In fact, all of the papers in my hand slowly dissolved into the fluid that I was floating in. I must admit that I did bump into some sort of dark archway made of bone several times, so at least he didn’t completely lie about that. After about 8 months in there, I got extremely anxious and horribly claustrophobic. I began banging on the bone archway, demanding to be born prematurely. I got my wish but, because I was not in the right position, I was born into this material world backwards. Frantic voices were yelling, “It’s a breech! We’re going to have to push it back up and turn it around!” This was an exceedingly painful experience for everyone, especially for me and my new mom. Many years have gone by since then, and now I know why Damien didn’t want to give me a chance to read the fine print. Among other things, he conveniently forgot to mention that all human life ends in death. Not many souls would agree to come here if they knew that in advance, so Damien lied. He knew true happiness could not be experienced in human form, because everything in this life is tinged with the shadow of death. Now, even though I enjoy this life to some extent, I live every day knowing that I will eventually lose everything here that I love. That’s why, when I die and leave this world, no one is going to trick me into coming back. Not even the silver-tongued Damien, the nefarious travel agent of the stars! Never sign anything that you haven’t been given time to read. This entry was posted in Humor, Nature, Philosophy, Photo Essay, photography, Travel and tagged clouds, creative writing, Death, Life. Bookmark the permalink. This is so beautifully written and I am sorry that Damien betrayed you. Life may be tinged with death but it is what you do during that short stay that makes it worth it. When the end does come, you will have your chance to give him a good (insert action) from all of the souls he tricked. Thanks, Eric…..I will remember your advice the next time I see him! This post snagged me. I will read more of your delightful tales. Loved the first photo in Snow Cold Feet. Thanks for liking my site. Thanks for the compliment, Mytiturk. I enjoyed your post about Machu Picchu….a place where I have always wanted to go, but have never been. I am happy enough to see it through your eyes. Even if I forget everything else, I’m going to do my best to remember why I don’t want to do this again! never read the contract first. Thanks….I’m glad that I am not alone. You managed to put into words just the way I feel. Very eloquent, moving and so true. Thanks Brian. That’s the wonderful thing about life. We are all in the same boat! Thank you Crazywolf! So nice to meet you. Blessings to you and your wife also throughout this journey of life. Thank you so much for the compliment, Jim. I wrote it at 3 a.m. in the morning, because I couldn’t sleep. Words are easy to find in the early morning quiet! I searched for the story by Mark Twain that you mentioned, and I found it! I just looked through some of it (I didn’t have time to read the whole book yet)….but it looks interesting. All I had ever heard of was “Tom Sawyer” and “Huckleberry Finn.” Undoubtedly, the nuns at the Catholic school I attended didn’t approve of this book, because they never mentioned that Twain had written a story about priests, angels, devils, ghosts, and other supernatural beings! I know that the nuns would not have agreed with or approved of Twain’s ending lines–“And you are but a thought—a vagrant thought, a useless thought, a homeless thought, wandering forlorn among the empty eternities!” They would have called that statement “blasphemy” for sure! They must have taught me well, because I totally disagree with the last few paragraphs of this book. We are much more than that! I notice that thoughts like these tend to wander around in the middle of the night. I’m sure many others (who couldn’t sleep for whatever reason) have wondered where they came from and where they’re going!. Oh, Mary, What a marvelous post! You nailed it! Lots to love here Mary, as the pictures add a sweet fragrance to your lyrics. Also, thank you for visiting my blog and liking posts. I promise I will never sign something I have not read properly… ever again! Such deep and insightful writing, thanks for sharing it on your blog. The fear of death/loss is nothing compared to the fear of eternity! Some people say eternity is going to last so long….they are afraid they are going to get bored. Stirring words Mary. Thank you to share it! Thank you for kind words from the Far-off World! I was reading this as if I was writing my life story. I was breech and made my mother stay in labor another 12 hours. I too talk about floating on clouds before I agreed to come back, but this is my last lifetime on earth. I look forward to resting on my cloud with my two dogs for eternity. I truly earned my angel wings by now. Your a great writer and communicator. Ooooh just noticed I replied to you in the wrong box, so you probably never got my message (which I wrote way back on April 13). Let me try this again….. Thank you. Lucky you live Hawaii (Oahu), I see! I lived on Oahu for 11 years (my husband was in the Navy). Perhaps we ran into each other somewhere along the way? I loved Hawaii so much there and miss it beyond measure. There is such a strong sense of spirituality there. I mentioned that in my post “Love Responds to Love” (Answer to question 1). Hawaii is one of the reasons that I went on to major in Philosophy. My body lives in Virginia, but my soul wanders on Hawaii. I often travel back in dreams, on wings of thought. I too believe I am lucky to be back living in Hawaii. I am deeply connected to these Islands and I am here to serve my purpose of holding the light. I love sharing my photos and thoughts that transcend humanity. Thank you for following and sharing. Love your story, some say dogs/cats were angels that are asked to come to earth and help people learn to love unconditionally. I read a childrens book (not long ago) about this. The angel had to learn the ways of the world first before coming down, at least the dogs/cats get taught first and hopefully find the right owner (which was the bleak side of this story). Now that I think of this part of the story it is really sad. Great story, going to read it again to cheer me up! Far away…….listening to palm trees sway. Too bad I have to come back! Good heavens! I didn’t reply? How can this be? 3 years have gone by. Oh, well. I guess time is on this earth is relative anyway. Thank you so much for your comment. Haha! Let’s do that. Lunch on the other side! We can compare notes….